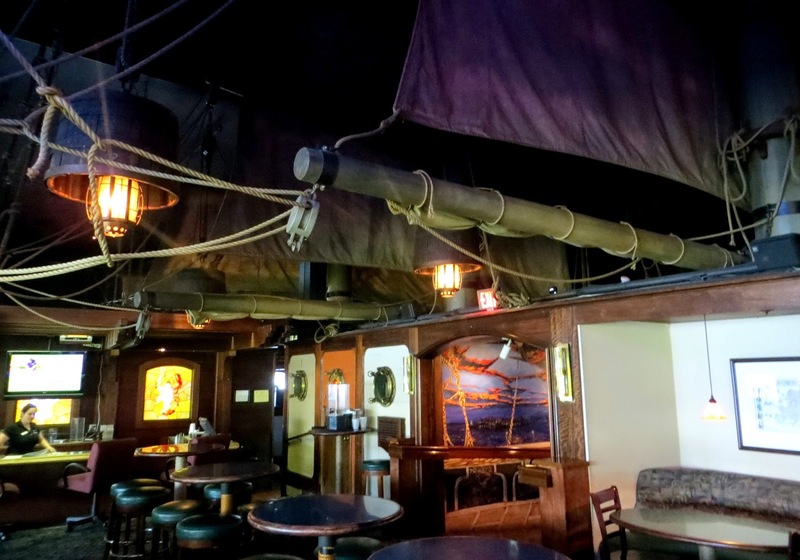 Stepping into the Quay Bar in Vancouver Washington's riverside Red Lion can feel a bit like stepping on board the Flying Dutchman. 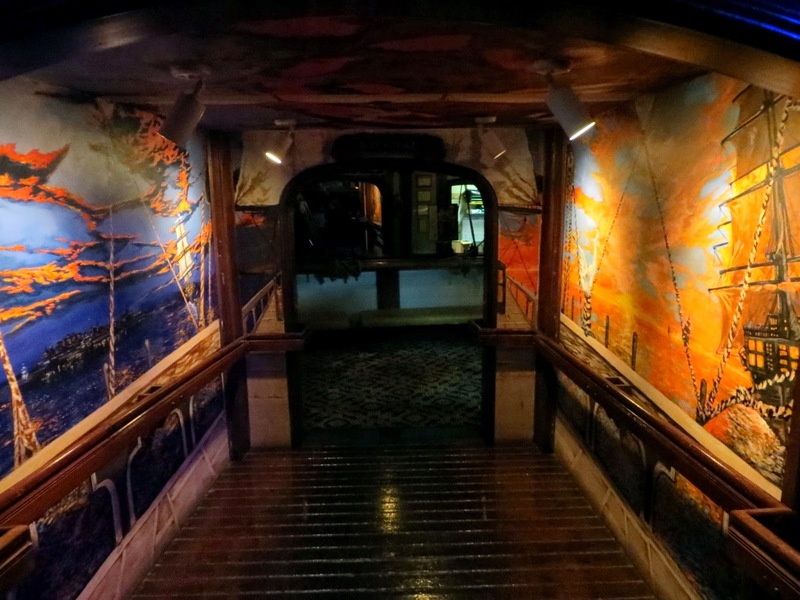 The feeling strikes you initially as you take in the considerable work done to make it appear that you are in an 18th century sailing ship. Slightly less ancient are the pop cover songs coming from the bands there on weekend evenings, as the 50-ish crowd hits the dance floor to early 80s rock. But the sense of doom does not come only from the dance floor -- the building itself is slated to be demolished as efforts move forward to build a new, much wider bridge here where I-5 crosses the Columbia River to Portland. And perhaps partially due to that impending fate, you can sometimes find your party sitting forlorn at a table and starting to wonder if there really were any servers in the place, or if those were just ghosts, now slunk back to their watery graves, the promise of foodstuff now just a haunting memory. "Adjacent to the restaurant and overlooking the Columbia River, the bar has a pool table, and offers live entertainment Friday and Saturday evenings." That's right. A pool table! The people are fairly nice, and the hotel, restaurant and bar are all adequate, but they feel like a golden opportunity lost. 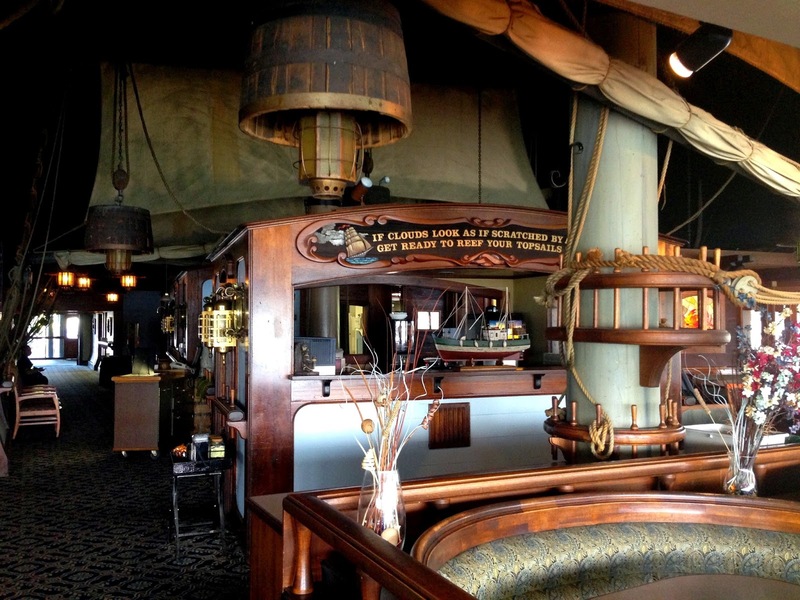 You should go to the Quay Restaurant to check out the sailing ship decor and the fine view of the Columbia River. If the buffet is open, you should definitely choose that option -- not because there is anything particularly great about the buffet, but because it's a bit dicey whether a server will happen by any time soon (a lesson learned on our first visit and reinforced on our second). If you like any music written after 1981, you might want to skip the band. Enjoy the location and trouble not your mind over what could have been. 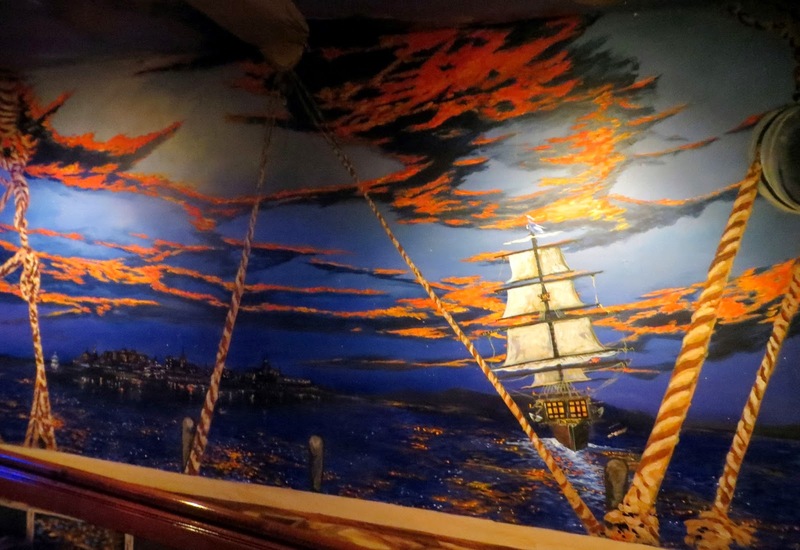 Red Lion's exciting photo of the Quay Bar's exotic decor.